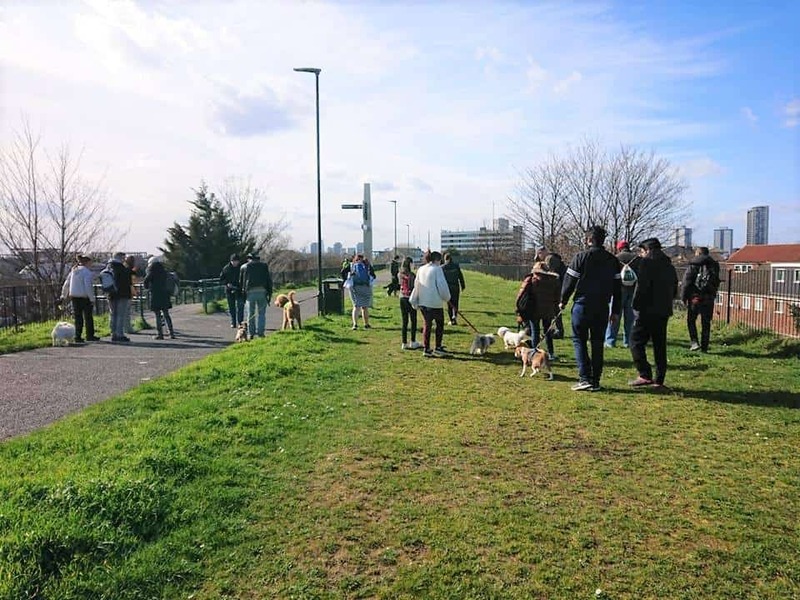 After the whirlwind of dog events last month (over 50 to be precise), our ‘Dog Events In London This Month April 2019 Edition round-up‘ is somewhat more chilled for April but don’t worry, there’s still plenty to do now the days are getting longer and hopefully soon, warmer. Brunches are certainly de rigeur this month! From new pups on the block, charity April Drools Brunch at The Defectors Weld or the rooftop brunch with a view at Savage Garden to much-loved favourites Doggy Sunday at Gaucho (which has had a makeover btw) or the Puppy Love Cinema brunches at the Exhibit Bars, there’s sure to be a brunch that gets tails wagging on the list. 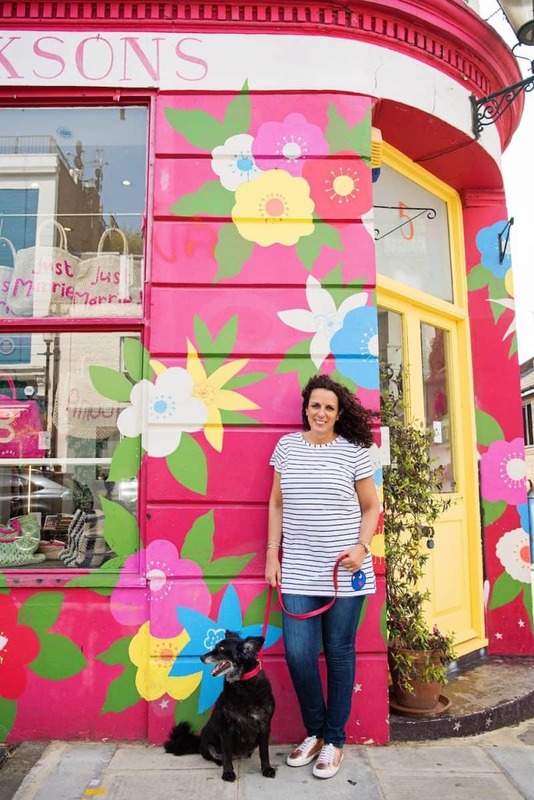 We’ll be taking to the streets of colourful Chelsea on the 14th of April for our Chelsea Hounds Photo Walk in collaboration with award-winning portrait photographer Emma O’Brien after we had so much fun on our Shoreditch + Street Art Photo Walk in the Autumn. We do still have some places left (hounds of all sizes welcome) so do get in touch if you’d like to join us. 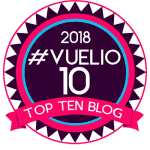 And don’t forget new events are added to the London Dog Events Calendar as we hear about them so check back regularly…hope to bump into you at an event soon! Pooches and Prams Walk for Parents, Dogs & Children | A monthly meetup and walk for parents of dogs and children organised by Pooches & Prams. The walks will be held on the first Thursday of every month at 10am in Grovelands Park, please feel free to join for a fun filled walk and a good natter. The meeting point is at the Grovelands Park Cafe. 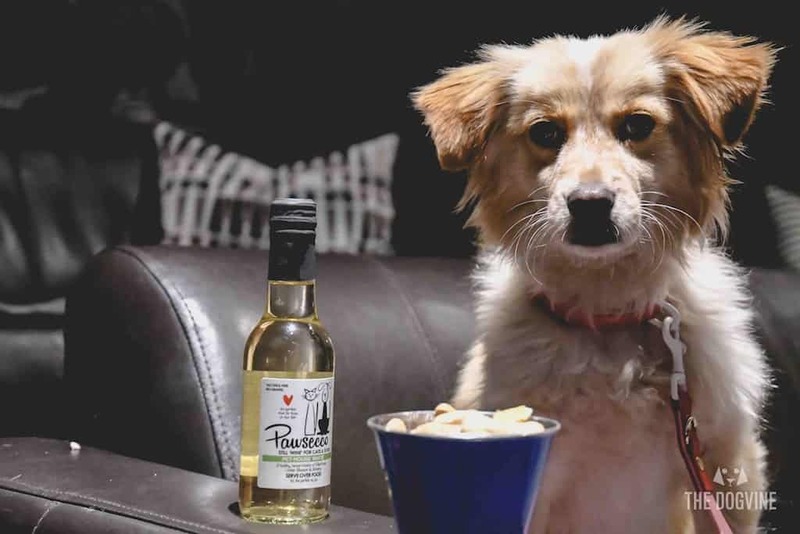 Puppy Love Cinema Exhibit Balham is back this month with exclusive screenings in the boutique cinema for humans and their pups followed by pizza and drinks. 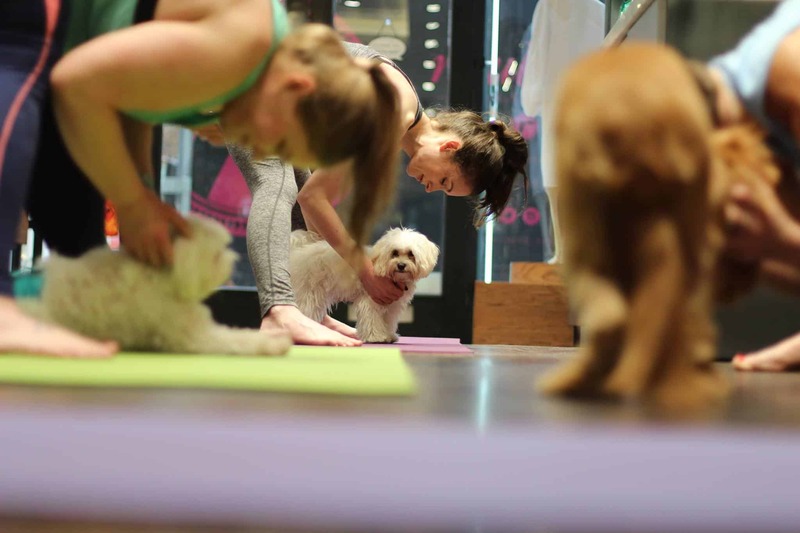 Read all about our exclusive visit to Puppy Love Cinema Exhibit Balham here. You can buy drinks from the Main Bar and take them in with you. 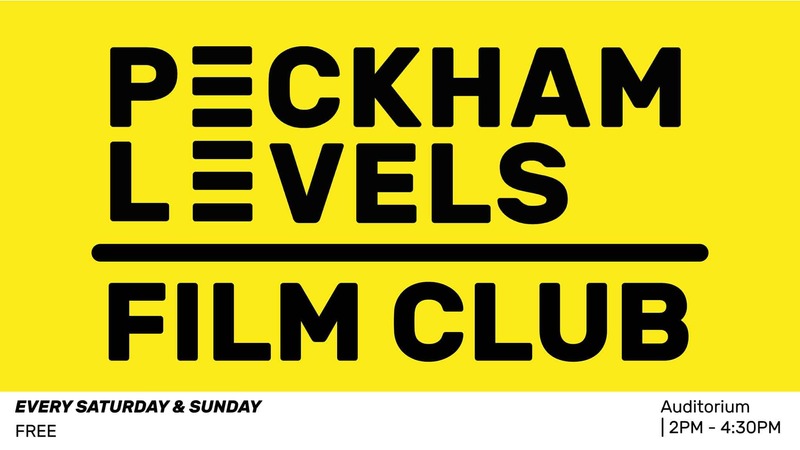 Get your Puppy Love Cinema Exhibit Balham tickets here. 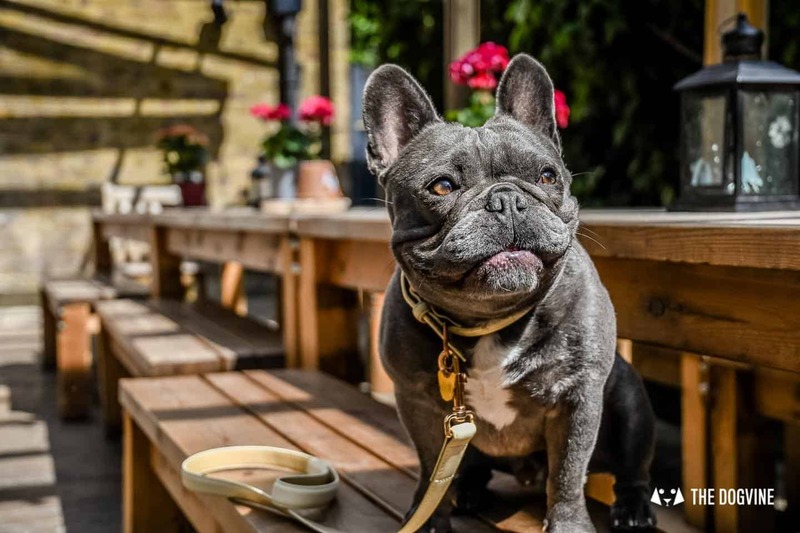 One of London’s best rooftop bars, Savage Garden, has gone barking mad by introducing the special 'Savage Garden Rooftop Dog Brunch' on the first Sunday of every month. 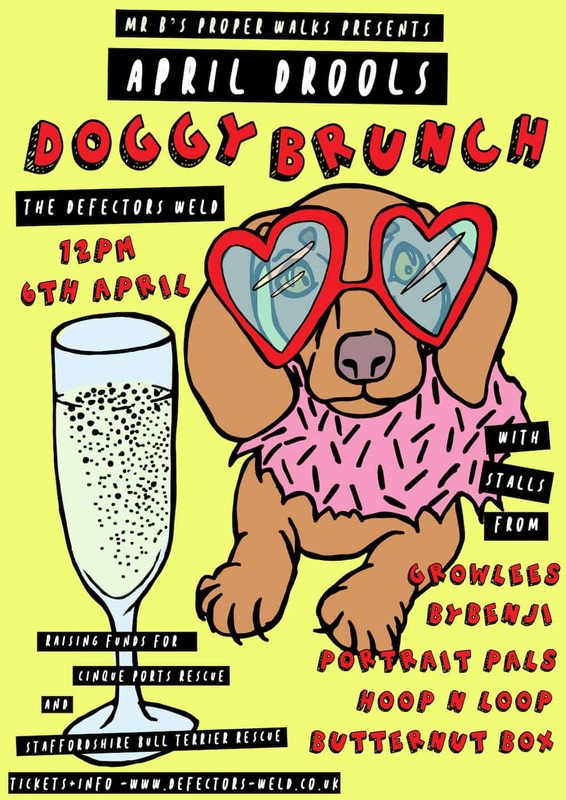 One of London’s best rooftop bars, Savage Garden, has gone barking mad by introducing the special ‘Savage Garden Rooftop Dog Brunch’ on the first Sunday of every month. Dubbed as London’s wildest sky-high destination, Savage Garden, brings decadent décor, jaw-dropping views, dramatic cocktails and savage menus to Tower Hill. Located atop the DoubleTree by Hilton, the ethos is focused on the unexpected. Two terraces provide 360-degree views of the London skyline including The Shard, Tower of London, The Gherkin and St. Paul’s Cathedral. 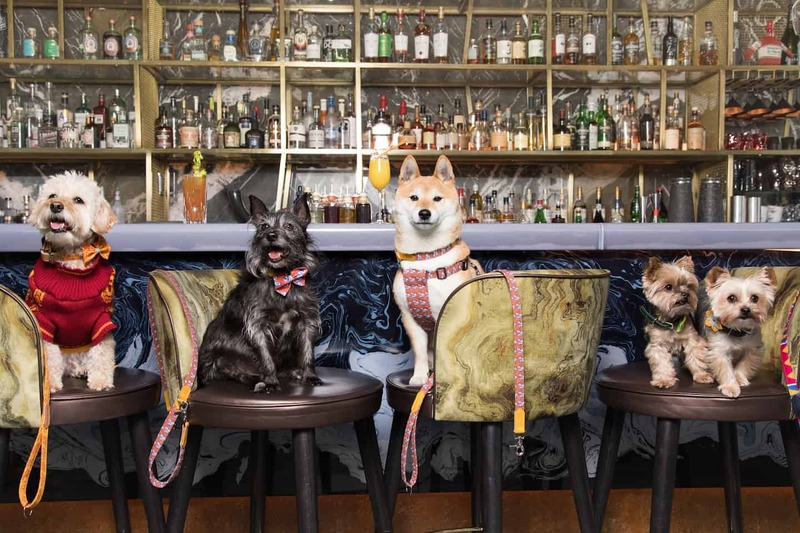 The inaugural Savage Garden Rooftop Dog Brunch will take place on Sunday, 7 April and Savage Garden have super treats in store for VIPs – that’s Very Important Pooches of course! 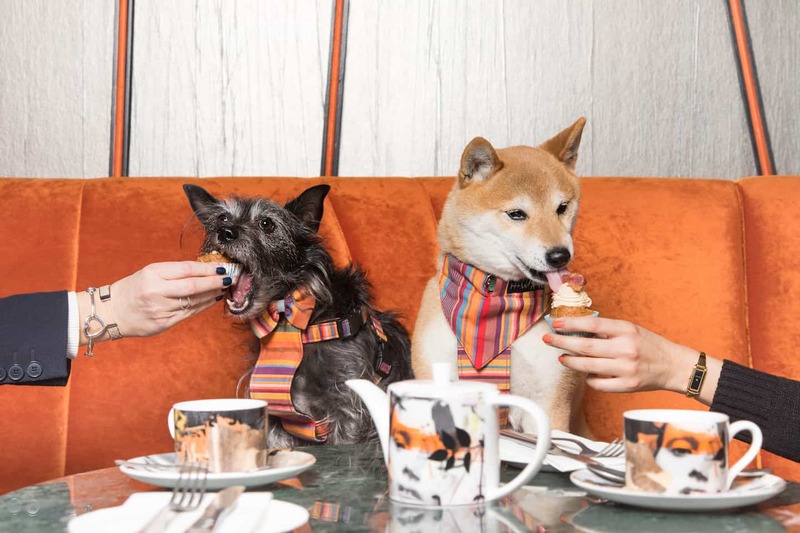 Vibrant British made pet accessories brand, Hiro + Wolf, have a special accessory surprise and goodie bag for furry friends, and will showcase and retail their hand-made products at the brunch event – perfect for trying on. 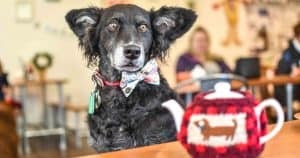 Each VIP guest will also be treated to a specially made Savage pupcake baked with delicious dog-friendly ingredients to nibble on whilst their humans enjoy a cocktail or two. Guests have a wide variety of savagely good brunch dishes to choose from off the a la carte menu that are as far removed from traditional brunch items as possible. Panko chicken cutlet, bacon and radish salad, cranberry, caper, siracha mayo and a sunny-side fried egg, as well as bourbon glazed beef short rib, charred sourdough and poached eggs’ are tipped to be some of the favourites. Cocktails are abundant, with bloody mary ‘red snappers’ and zesty mimosas all making an appearance. And if you don’t have four legs, you can still come and enjoy the usual Play Brunch that is on offer and make some new furry friends. 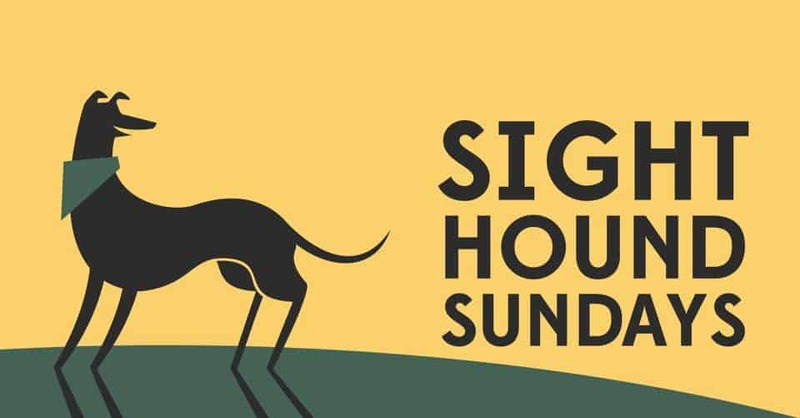 The inaugural Savage Garden Rooftop Dog Brunch is taking place on Sunday, 7 April from 12pm until 4pm and then monthly on the first Sunday of the month after that. To reserve your table visit www.savagegarden.co.uk or call 020 7709 1043. Hiro, a spirited Shiba Inu and Wolf, a cocktail of Terriers met eight years ago whilst walking their humans in London Fields Park. The playful pair couldn’t find anything cool enough to wear so convinced their humans to start sewing collars and leads using vibrant fabrics sourced from their travels around the world. Hiro + Wolf still proudly makes its colourful collection of collars and accessories for cats and dogs in the U.K. You can catch them at the Savage Garden Rooftop Brunch or pup down to see them at their dog-friendly pet emporiums on Columbia Road Flower Market and in the seaside town of Margate or shipping to fashion conscious felines and cool canines worldwide. Wimbledon Common Dogs & Horses April Edition Training Session on Sunday 7th April with expert dog trainer Andy Weaver. 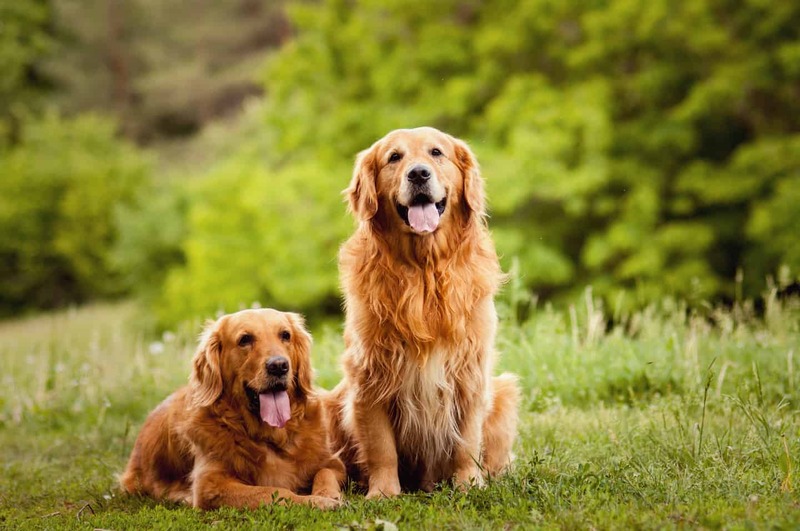 Dogs – are you a bit nervous around horses? Or do you suddenly go deaf when your human sees horses and calls you to heel? 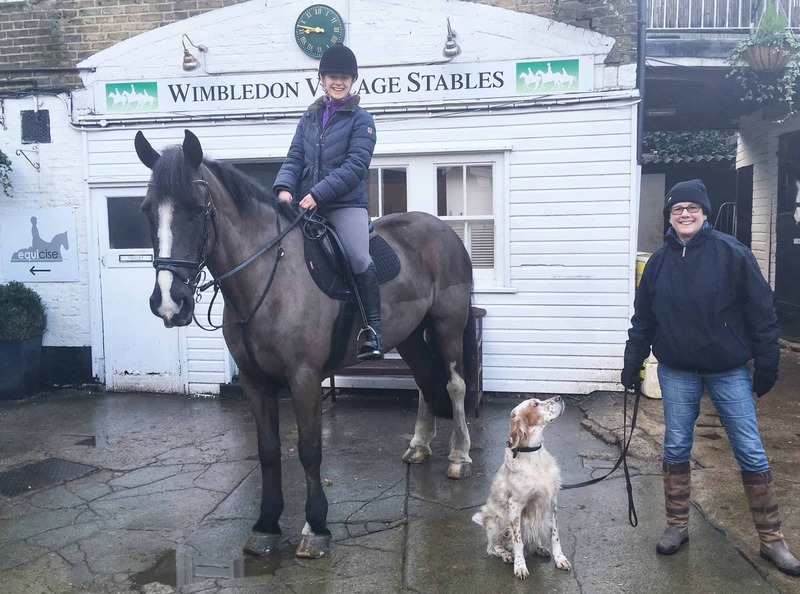 Expert dog trainer Andy Weaver can help you and your human family be more confident around horses on Wimbledon Common. Wimbledon Common Dogs & Horses March Edition – Tickets are £5 each, one ticket per dog, friends and family don’t need tickets. Children are welcome too. Free doggie treats for all who put their paws up. All money raised will be donated to charity. Wimbledon Common Dogs & Horses April event image and text courtesy of the event organiser. Chelsea Hounds Photo Walk | Join award winning dog photographer Emma O’Brien (emmaobrien.com) and urban dog lifestyle blog The Dogvine (The Dogvine) for the Chelsea Hounds Photo Walk in the heart Chelsea on Sunday 14th April from 09:30 am to 1pm. 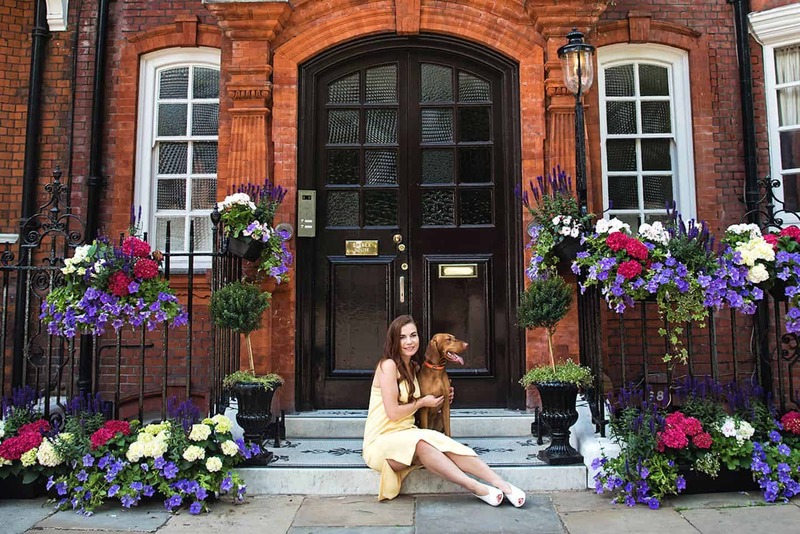 We will visit some of Chelsea’s prettiest hidden streets and insta hotspots where Emma will take photos of you and your pooch amidst the colourful and vibrant backdrops of Chelsea’s houses as well as sharing some of her hints and tips for getting better photos of your dog for instagram and social media. 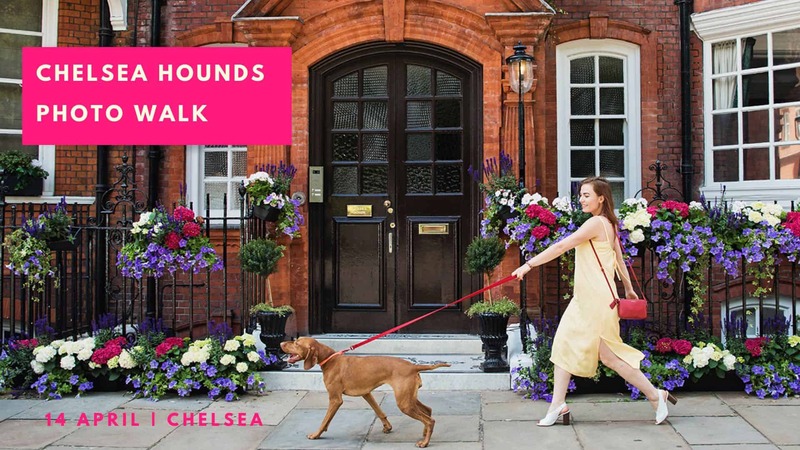 Places for the Chelsea Hounds Photo Walk are £50 per ‘pair’ and includes 20 hi-res digital photos for your personal use and of course perfect for the ‘gram. Booking is essential as places are limited to 15 owner/dog pairs, with up to two dogs and two humans included per ‘pair’. TO BOOK: Contact us on: emma@emmaobrien.com (Emma) or hello@thedogvine.com (Teresa) to book your place. 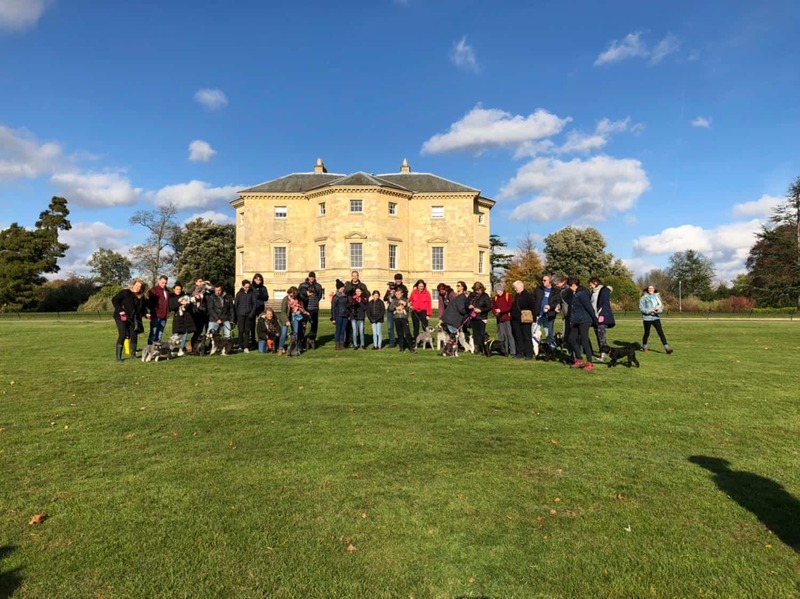 Danson Park Schnauzer Walk April | The Danson Park Schauzer Group are organising their next group walk on 14 April. The group will meet at Danson Stables Pub at 11:45am to begin the walk at 12pm. 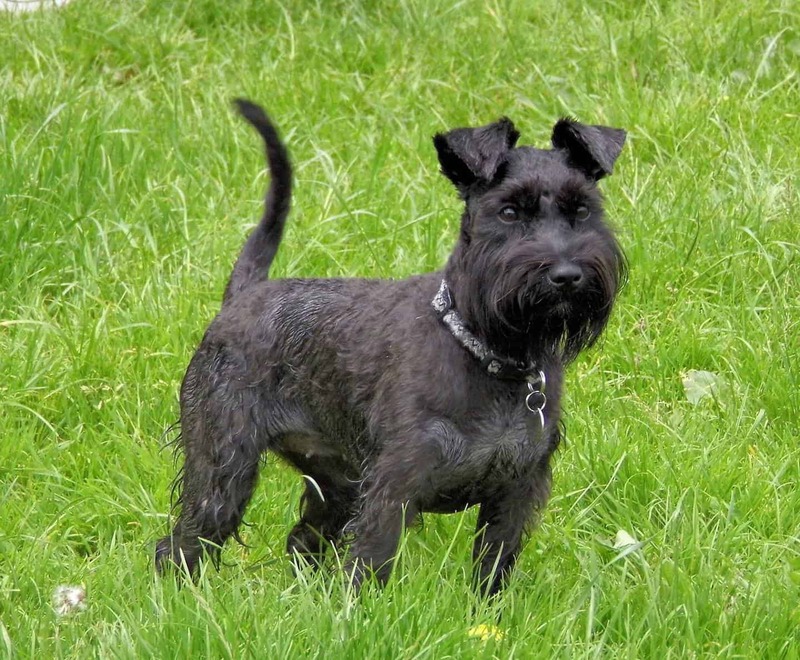 The Danson Park Schnauzer Walk will be at a leisurely pace in order to help the group stay together. The organiser will post a map of the route & a contact number closer to the time so if there are any late comers they will be able to get in contact. 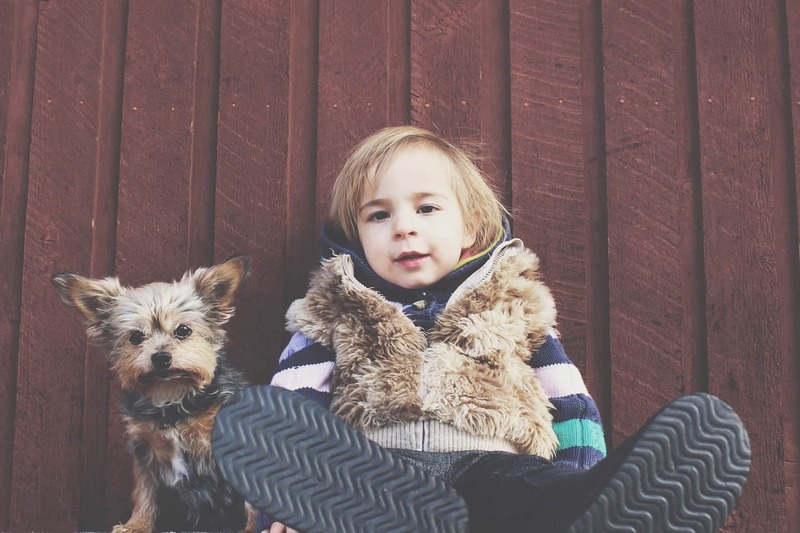 Paws crossed that everyone has a fun, happy walk! Event image and text courtesy of the event organiser. 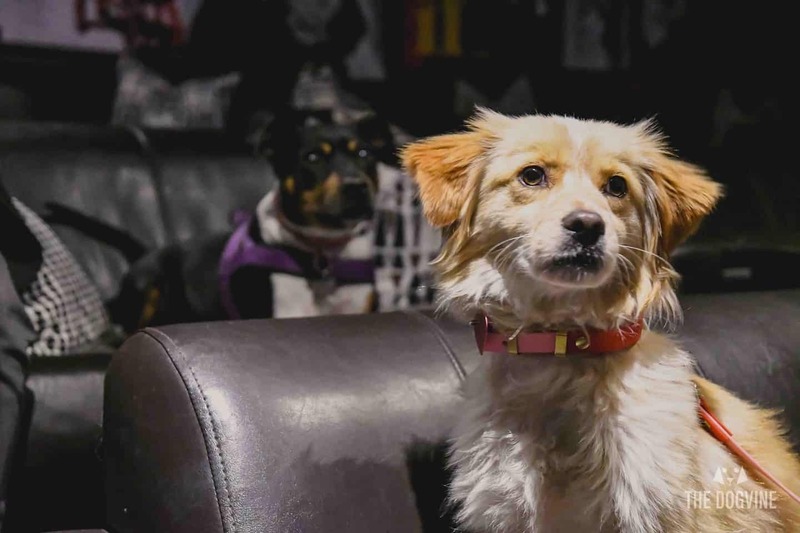 Bohemian Rhapsody Dog-friendly Cinema Puppy Brunch at Exhibit B Streatham! 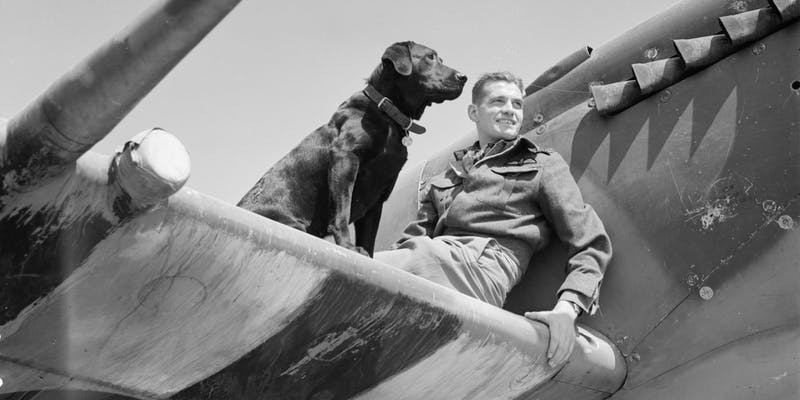 It’s a pawfect way to spend a Sunday…join Exhibit B, for brunch + movie with your favourite pup, dogs go free in exchange for cuddles with the team (from the dogs)! The Exhibit B Cinema DOES NOT SHOW TRAILERS so we aim to start all films at the advertised screening time. The Exhibit B Cinema is strictly an over 18 venue regardless of the certification of the movie being screened. 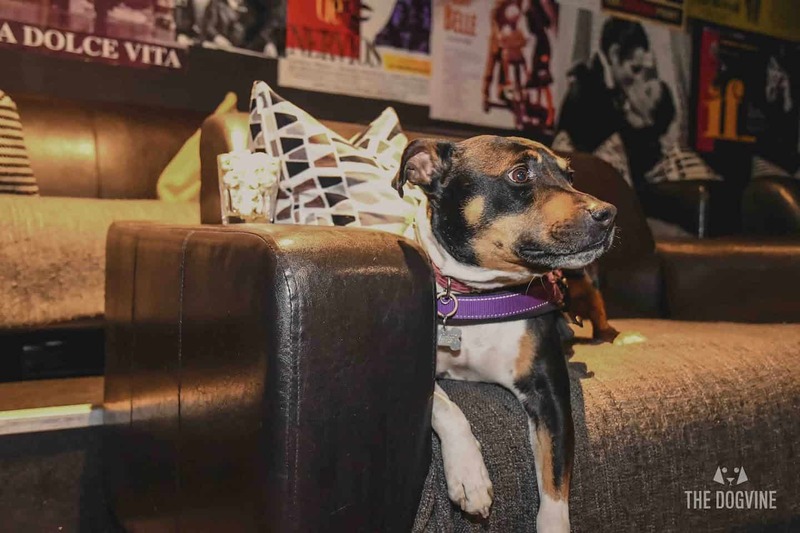 Exhibit Cinemas have been running dog-friendly cinema screenings for a while now at both the Streatham and Balham locations – read our review of our visit to an exclusive screening at Exhibit Streatham here. 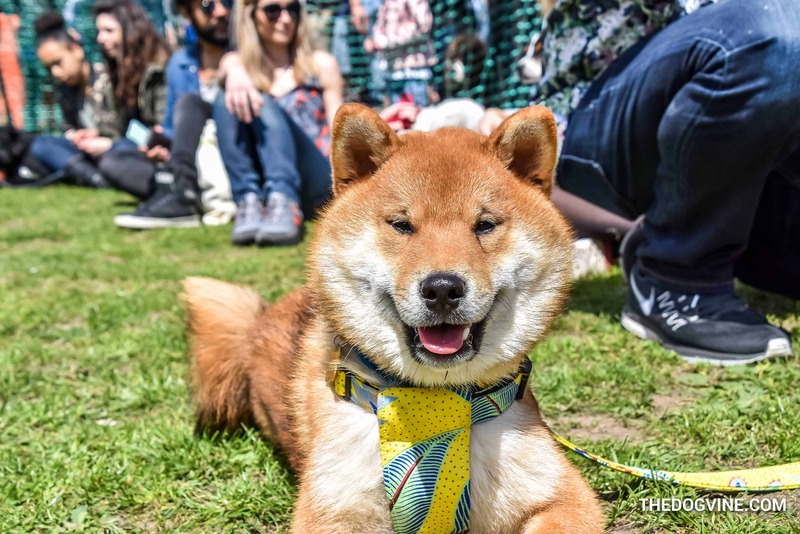 And that’s it for the round-up of Dog Events In London This Month April 2019 Edition, enjoy puppers!